The Longevity Walkathon is an event hosted by Self-Help for the Elderly to help fundraise for their elder care services. This event helps cover the annual costs of operating their services, since funding sources aren’t enough to pay to full cost. The Longevity Walkathon is organized in memory and support of loved ones. The vision is to support senior care and enhance the seniors’ standard of living. After the Longevity Walkathon, entertainment and refreshments will be provided to celebrate fundraising event. If you don’t have the chance to participate in the walkathon, there are plenty of other opportunities to support by donating to the participants. Begin your fundraising today by completing the Walkathon Pledge Form. 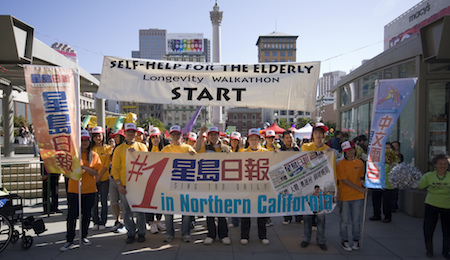 For more information about the Longevity Walkathon, contact Self-Help for the Elderly!